Thank you ! 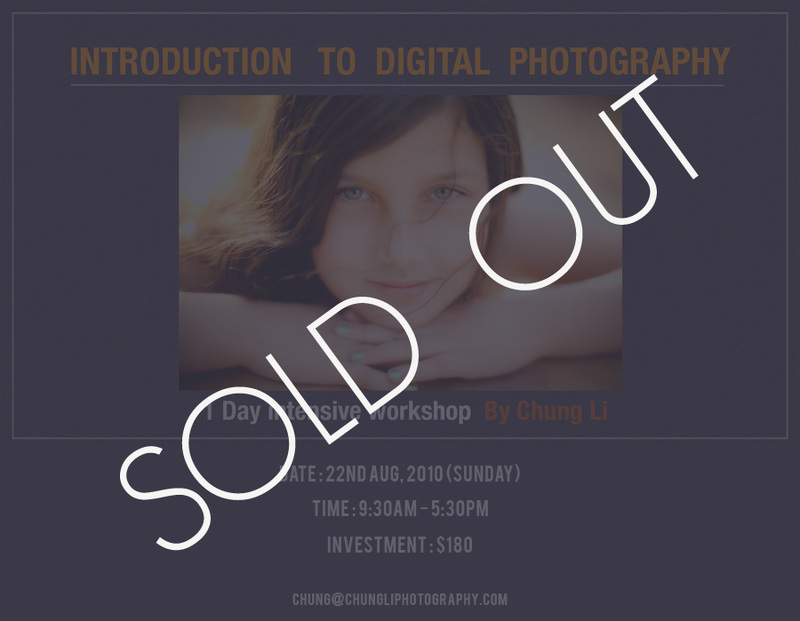 Thank you so much for asking , the 22nd August Digital Photography Beginner Class all seats SOLD OUT. Before the class on 7/17 , I didn't think of I would have another class that soon and the response was great . Here are 2 student's review on their blog, see what they have learned. Thank you so much for all former students' awesome testimonials , I think the intimate , small group (8 students), and most importantly the hands-on format attracting many photography beginners to jump start their skills and feel comfortable with their new equipment.